As a patron and supporter of art and music, Hiroko Horiuchi has worked as a bridge between Europe and Asia for over two decades, together with her husband, Noriyoshi. She has supported aspiring young singers from the Far East, including China, Korea and Japan, helping them to further their careers and to study in Europe. Hiroko works closely with opera houses and festivals throughout Europe and has acted as patron for many productions, including that of ‘Aida’ in Verona directed by Franco Zeffirelli. Hiroko also supports emerging visual artists from both the UK and Japan. She helps artists travel to Japan and experience life there as they refine their art, and also helps them to exhibit their work in Japan and Europe. 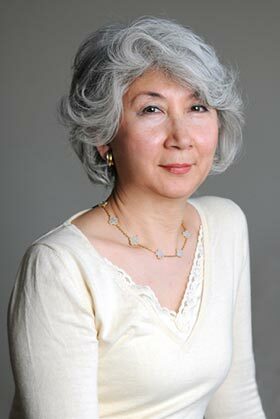 She has recently set up the Horiuchi Foundation, to support up-and-coming artists in Japan and the UK. Hiroko is a member of the International Fundraising Committee of the Red Cross and has supported the British Red Cross in raising funds through their projects such as ‘The Ambassador’s Gala’ in 2013 and ‘Art For Life’ in 2014.